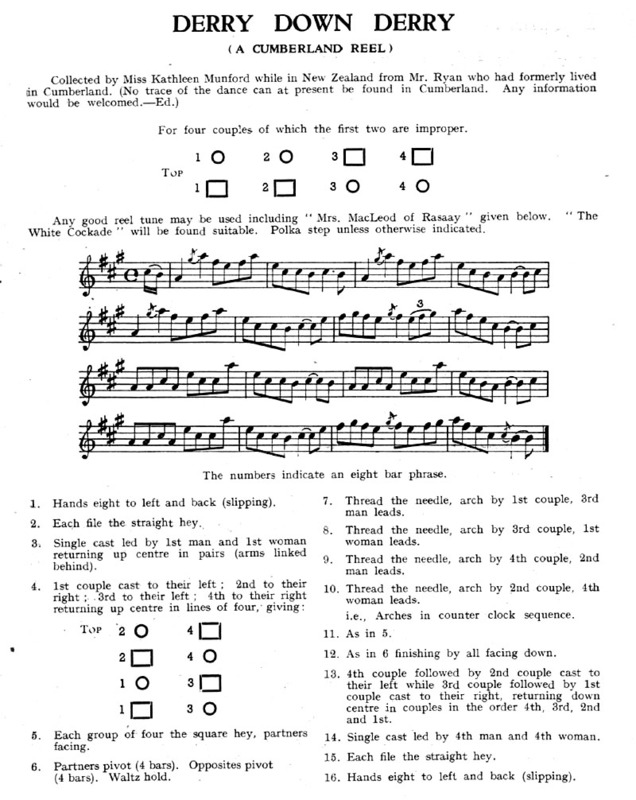 Source: Kathleen Munford from Mr Ryan; published in English Dance & Song, February 1941, Volume V, Number 3. The order of the Thread the Needles follows two rules: make the arches going anticlockwise around the set; always start going through an arch by leading across the set. Although the document specifies a ballroom hold for the swings, I would recommend a symmetrical swing so that it is easier to spring back into your own line facing the person you just swung.